KU Theatre has its home in Murphy Hall. Built in 1957, the building is named for Chancellor Franklin Murphy (1951-60). Murphy Hall houses the theatre offices, classrooms/rehearsal studios, costume and scenic laboratories, box office, and theatres. The University Theatre, the producing arm of KUTheatre, presents a year-round program of plays and musicals in the main stage Crafton-Preyer Theatre (capacity 1,130). The theatre is named for Jesse Allen Crafton (1890-1966), founder of the Department of Speech and Drama, and for Carl Adolph Preyer (1863-1947), pianist/composer and faculty member for 56 years. Some performances in the Crafton-Preyer are presented in Stage Too! configuration in which the audience is seated on the stage, close to the action. In addition to our main stage, faculty and students present a steady steam of smaller projects in the William Inge Memorial Theatre (capacity 80-120). This “Black Box” theatre is named for the award-winning playwright William Inge (1913-1973), 1935 KU alumnus and author of Picnic, Splendor in the Grass, Come Back Little Sheba, and Bus Stop. 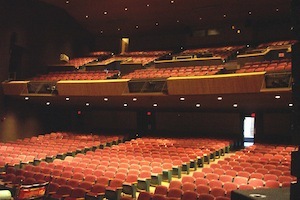 The facilities of KU Theatre are available for limited windows of time for rental by campus and outside organizations. Visit Facility Use/Rental for more information.